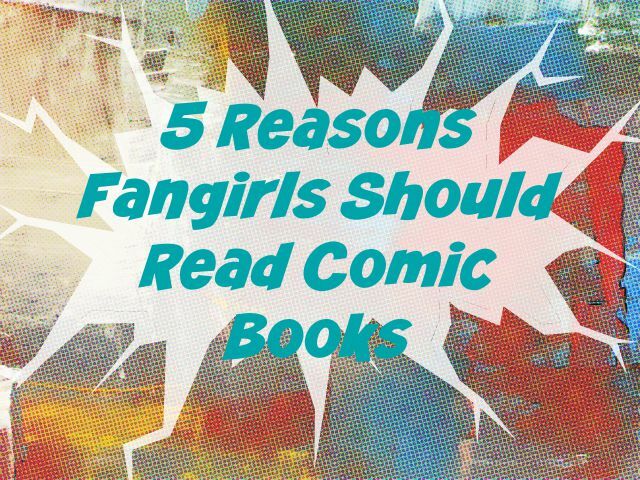 Since the Hollywood scene is blowing up with superhero movies (literally), we (Amanda and Jaime) have teamed up to give you five conclusive reasons why you, as a fangirl, should read comic books in addition to engaging with the silver screen superheroes and the heroic TV shows rocking the world. 1. Comic books contain impressive and unique artwork. 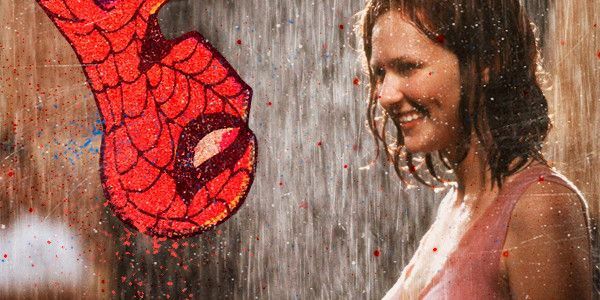 As much as we love the cool special effects blasting their way across the silver screen, sometimes it becomes all too similar. However, there are some differences between how the movies are photographed, which gives distinct qualities to different films (think: Thor is definitely a different realm than Captain America: The First Avenger). Comics are the same way but more defined. Different styles, character designs, variants, and formats set up how the story arc comes across in the pages. I’ve been reading through the Civil War story arc and the side stories of how various heroes deal with the registration act. Each story about a hero or villain has its own art style. Punisher’s was originally published in black and white; it’s grittier, like his story line. Wolverine’s is more colorful because of his suit and the action punched into the pages, plus it gives an inside look into what occurs when he “dies” and heals himself. Thus it comes across kind of dream-like. While I haven’t read nearly as many comics as Jaime has, I’ve recently been getting into them more. One of my favorite examples of this are the Hawkeye comics by Matt Fraction. The art is fuzzy, indistinct and laidback, which not only fits the tone of the comics, but also Clint’s personality. 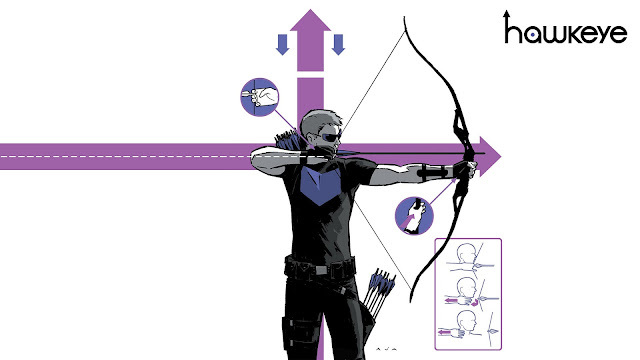 There’s a very specific color palette, with a lot of purples and blacks that really fit the tone of the comic series (not to mention Clint’s original Hawkeye costume). 2. There are endless stories to explore. There are so many stories in the comic book world. And as fangirls, we’re always looking for new stories about our favorite characters or even new ones! I consider this to be one of the advantages of comic book reading: you get to see your favorite characters doing so many things that you just don’t get from a two-hour movie. In terms of how much story you can get, it’s just as satisfying as watching a TV series. 3. Anything can happen. Anything. When we say, anything can happen… we mean it. Anything. 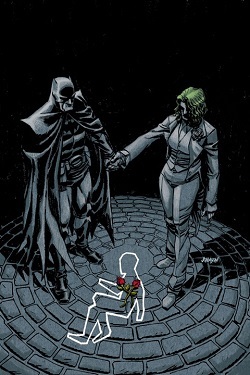 -Bruce Wayne dies instead of his parents, and they become Batman (Mr. Wayne) and Joker (Mrs. Wayne)? Happened. -They kill off Captain America and Superman (and brought both of them back)? You bet. -Marvel Universe and DC Universe collide and character are paired up to fight each other in a battle to the death? Yes, that has happened (and it was awesome). -Joker takes over the DC Universe and flips the whole universe around so all heroes are vigilante villains and all villains are heroes? Done and done. So yes, anything can happen. Not only can big, earth-shattering things happen, but you know what else? Hilarious, adorable, head-canon worthy things. For example, Clint adopting a dog. That he names Lucky. I think that speaks for itself. 4. There are tons of characters to get to know. The Marvel Cinematic Universe and the DC Extended Universe are slowly bringing in more characters over time (like the introduction of Supergirl this Fall on CBS or the Vision in Age of Ultron), but it’s still slow. It’s going to be a while before more less-notable characters are brought in. Which is why the comics are a great way to meet new heroes, villains, and “others” without having to wait. 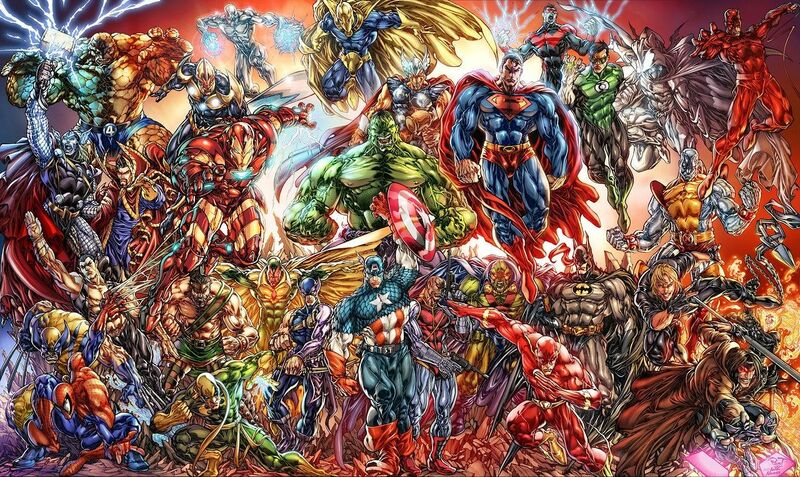 Plus, it’s highly unlikely DC or Marvel will ever be able to hit every single character created out there. There are just some characters, I suppose, who aren’t important enough. Take the Guardians of the Galaxy comics from 2008. There are at least five members of the team not introduced in the movie, plus other characters outside of the Guardian super cool club. And some of them are pretty freaking fantastic. Like Jack Flagg or Moon Dragon. I would never have learned of these characters if I hadn’t picked up the comics. And there’s tons more from the various Avengers teams, and don’t even get me started on the number of X-Men members. The thing about reading comics is that it’s almost like reading life histories of people. If you read enough comics, you can fill in the gaps in your knowledge. But there are so many characters! And they’re all so different and unique and reading about them is learning new things about new people, and that’s one of my personal favorite things to do. I’ve never seen any X-Men movies, but I’ve recently been reading the Ultimate X-Men comics and it’s been so awesome to get to know some really cool characters. 5. Comic books provide a richer superhero experience. Another reason I love reading comics is because it makes the whole experience of being a fangirl and loving superheroes so much richer and full. There’s no way you can fit every little detail about a character or storyline into a movie. Reading comics also makes me appreciate the movies more deeply; it’s really cool seeing how much material they combined or combed through to make a movie and then filling in other things about the storyline in your knowledge. I recently read a bunch of Ultimate Spider-Man comics and it was really cool seeing a lot of source material in there that was made into much of the first Spider-Man trilogy. While most comic book movies are made based on the source material story lines, there are always things that have changed. For example, in Age of Ultron Tony and Bruce create Ultron, while in the comics Hank Pym created him. It’s interesting to think about why they changed that as well. It would have been difficult and confusing to try to introduce Ant-Man before Age of Ultron, not to mention that in the MCU, Scott Lang isn’t even Ant-Man. I think this was a smart move on their part because it offered so many opportunities for character development with all of the characters that we did have in Age of Ultron. But it’s always fun to go back to the roots and see the original story line and I think that’s one of my favorite reasons why I read comics. I like going into movies without any idea of what might happen, but I also like to know what might happen. It’s the little jokes, the references to comics, the briefest hint of something bigger that I like to catch while watching superhero movies. I’ve been known to the be the person laughing at some obscure comic reference when no one else in the theater is. I’ve been downright excited, practically jumping up and down in my seat when the movie makers take a moment and twist the comic reference around. You’d think I would get mad about them changing things, but I’m not. Instead, I look forward to how they adapt this story line or that character to fit into the MCU or CW superhero plot lines. For example, I did a lot of research on characters and story arcs before diving into Ant-Man. I had my predictions on what might happen based on the trailer, movie synopsis, and original comic stories. I thought of the possibilities and the wonderful joy I was going to feel when it came together. Most of what I thought might happen didn’t. But that was ok. Because Marvel adapted the origin story of Scott Lang in the comics to fit the MCU and the world we live in today with a whole new spin. Yellowjacket is a not-so-heroic version of Hank Pym in the comics; instead in the movie, Yellowjacket was his prodigy, Darren Cross, who Hank feared was too much like him. I thought it was perfect. Instead of Cassie being sick and Scott needed money to help her with medical treatments, he needs to pay child support to actually see her; this change pulls on our heartstrings from the start so we like this criminal. And of course, there’s the hint of Hope being the Red Queen at the end of the movie credits… The possibilities are endless of what could be next for the MCU and Ant-Man. For TV shows, cameos of characters (Harley Quinn in Arrow), references to other plots (like Jay Garrick’s hat coming out of a time portal in The Flash), and other moments of inside jokes (Claire calling Matt “Mike” in Daredevil) or references fuel my own experience with the live-action version of the comics. 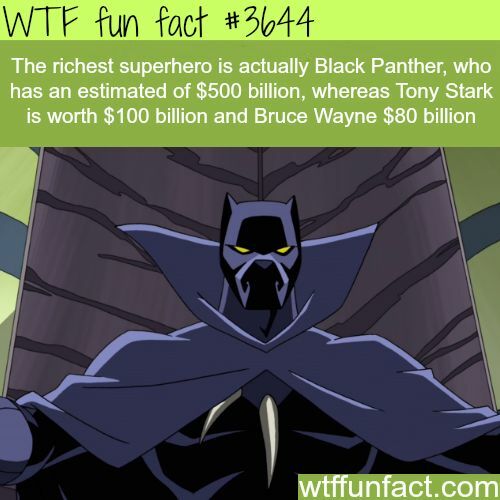 Knowing some things from the comics gives me a richer experience while watching the movies or shows. Plus, you won’t miss out when everybody else happens to be laughing (or maybe just the one awkward person two rows up). Reading comics gives you a better sense of the world you’ve been drawn to by actors and special effects. Why do you read comic books? Reasons 1-4 were brainstormed by Amanda; reason 5 and the thumbnail graphic were created by Jaime.